Adderall can affect your body in a number of ways. Short-term, students who take Adderall experience feelings of nervousness, nausea and agitation. Since the drug maintains your focus, it inadvertently eliminates your appetite. Consequently, students often miss important meals after taking the drug. Abuse of the drug has been linked to eating disorders and other associated mental health issues. Adderall is a prescription drug used to treat Attention Deficit Hyperactivity Disorder (ADHD) in children and adults, but the drug has gained popularity among post-secondary students who use the medication as a "study drug". When used for its intended purposes, Adderall helps increase one's ability to focus. When people who do not suffer from ADHD use the drug, they experience laser-sharp concentration, making it a popular study tool for stressed students. According to the American Journal of College Health, 76% of students will be offered the prescription drug throughout their four years of university, and about 30% will accept it. As students are currently in the middle of writing midterms and possibly using the drug to support their studies, I'd like to provide information on how dangerous this study trick really is. When a person who does not suffer from ADHD uses Adderall, the result is a lot greater than that of someone uses it for medical purposes. People who have used the drug for studying purposes report feeling focused and motivated to complete their work. Spending hours in the library studying for an exam can be mind numbing, but because Adderall was designed to lengthen your attention span, students can spend all day cramming without feeling the strain. Adderall is one of the most addictive drugs on the market. When a student uses it and receives a great mark on a paper or exam, it can be difficult not to resort back to the method that helped them achieve it. A lot of students carry the mantra, "I'll just use it this once to get through this tough exam period", but if a student is relying on Adderall for their brain power, what's to stop them from using it in the working world as well? Adderall is also used to treat narcolepsy, a condition where people fall asleep sporadically. Thus, students who take Adderall often experience insomnia. After abusing the drug for long periods of time, the consequences can be dire. After taking excessive amounts of Adderall over a period of time, your body begins to depend on it, just like any other drug. Suddenly it can be difficult to accomplish daily tasks without popping a few pills first. As mentioned in my previous blog about Fentanyl, people often begin abusing one drug and move on to more powerful substances to get a more intensified high. Last year, the Toronto Star published an article discussing the link between Adderall use and suicide. So how is it so easy for students to get their hands on this drug? It is estimated that only 1 in 20 children in Canada have ADHD, but that doesn't stop students desperate to improve their grades. A quick Google search can expose hundreds of articles with titles like, "How to trick your doctor into prescribing you Adderall." Faking symptoms of ADHD can lead doctors to a misdiagnosis, and students are able to walk away with a powerful prescription. Even without a doctor's note, students can still access the drug on campus. 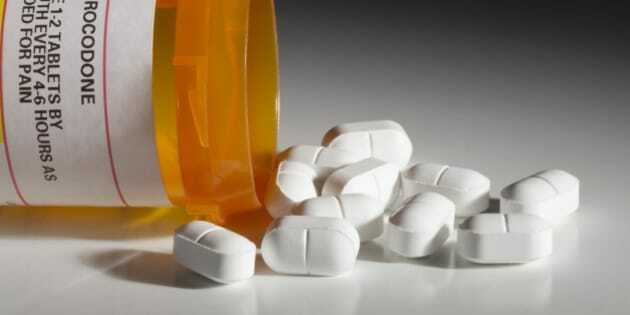 Students who have received prescriptions are known to sell the drug to their peers for up to $25 a pill. 1. Get organized without the use of prescription medication. Talk to your teachers if you are feeling stressed, and surround yourself with positive people who want to help you succeed. 2. If you are experiencing physical symptoms from Adderall use, talk to a medical professional. Talking about drug use can be difficult, but living with an addiction is harder. 3. Talk to your campus mental health or SAP provider for assistance on managing drug use and stress levels. They have the tools to assist you through an Adderall dependency. Post-secondary life is difficult. I remember staying up late to finish papers and stressing over exams. While taking Adderall might seem like a short-term solution to your stress, working hard to get a good grade is a lot more rewarding.